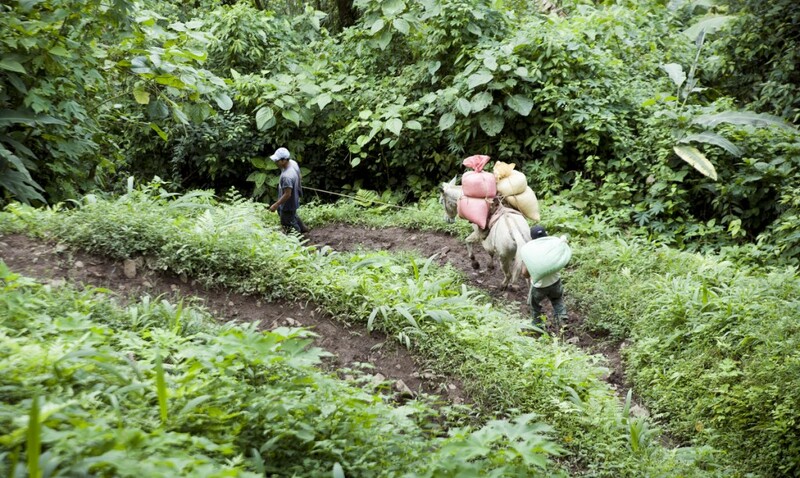 These photos explore the life on Fair trade coffee cooperatives in northern Nicaragua. The Fair Trade movement is a movement of solidarity between consumers in the developed world and producers in the developing world. 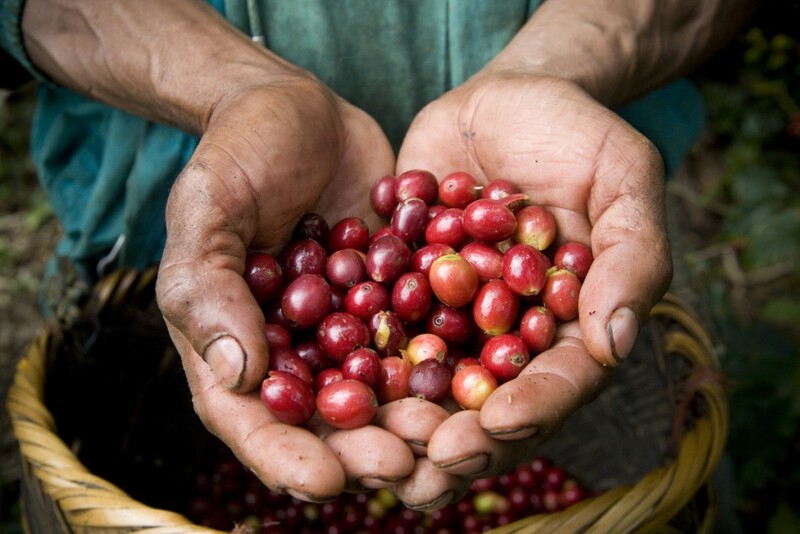 Producers and their coop members receive a reasonable price for their coffee, allowing them to earn a sustainable living, cloth their children, and help the community as a whole by building schools, medical centres or by helping rebuild infrastructure. 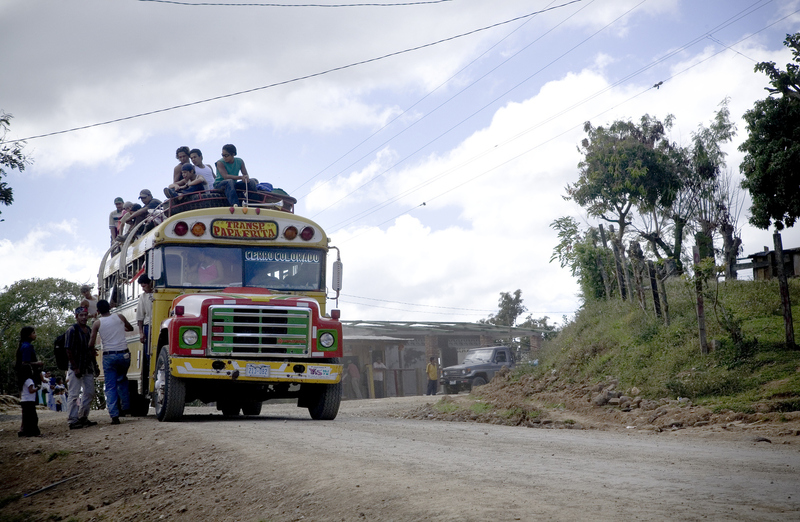 An inter-city bus over loaded with passengers in Nicaragua’s highlands. 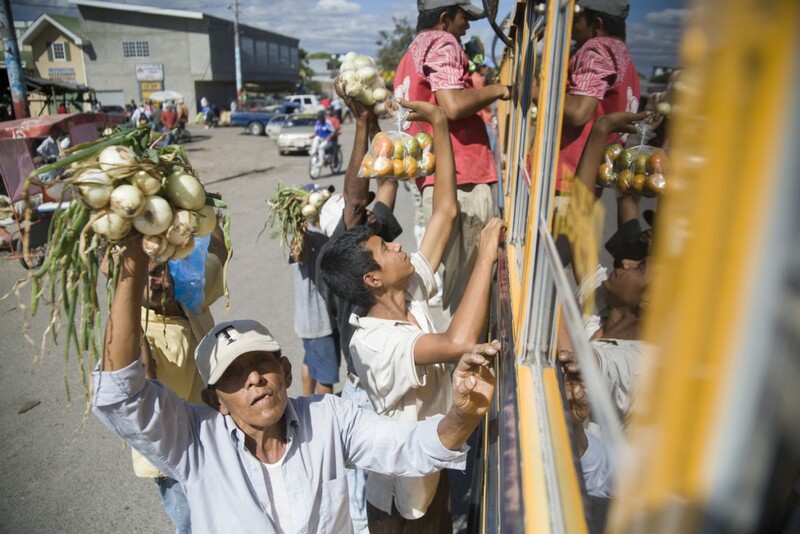 Sebaco, Nicaragua Vegetable vendors rush a yellow school bus at the Sebaco stop on the route from Managua to Matagalpa. A view looking eastward into the Nicaraguan highlands from Finca El Roble. 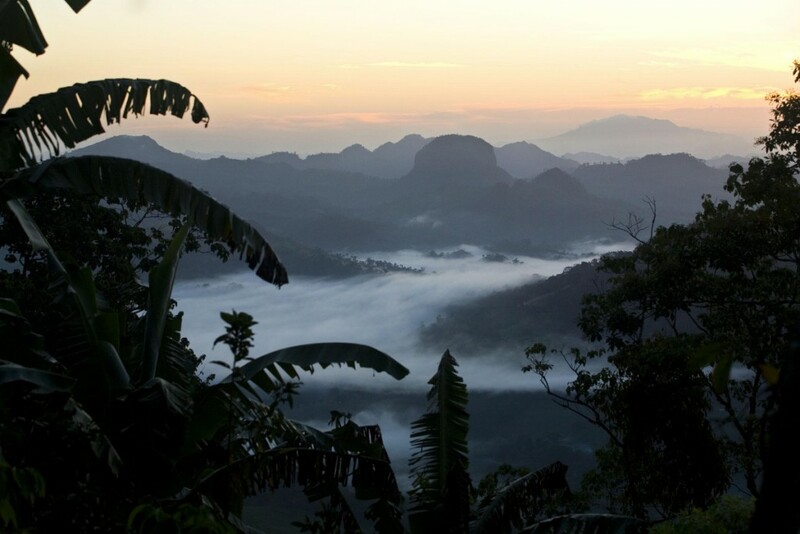 The farm stands at 1200m above sea level , in the community of Aguas Amarillas east of Matagalpa city. 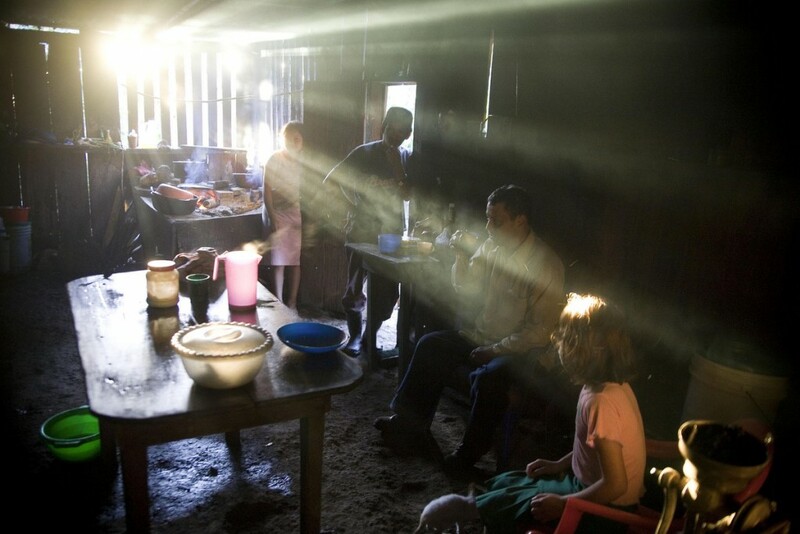 Work on the farm starts as the day breaks and goes untill 3 p.m.
It’s early morning and the Pao Arauz family starts the day with a coffee before heading out to work on the coffee fields picking berries. Workers on Finca El Roble sort ripe(red) coffee cherries from green ones. 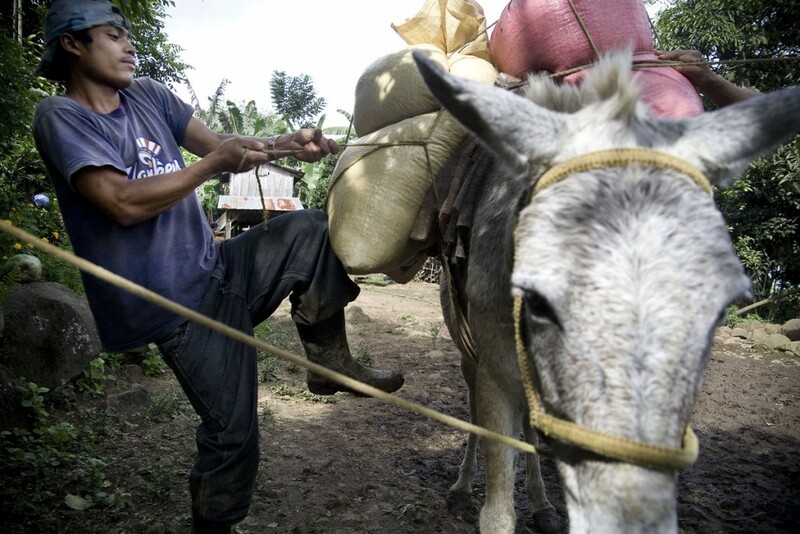 David Pao Arauz, son of a coffee producer, ties bags of coffee beans onto a mule on Finca El Roble. Sergio Fieroa picks coffee beans on Finca El Roble, a certified fair trade coffee farm. Noé Pao Arauz , son of the owner of Finca El Roble, a certified fair trade farm, does some chores. 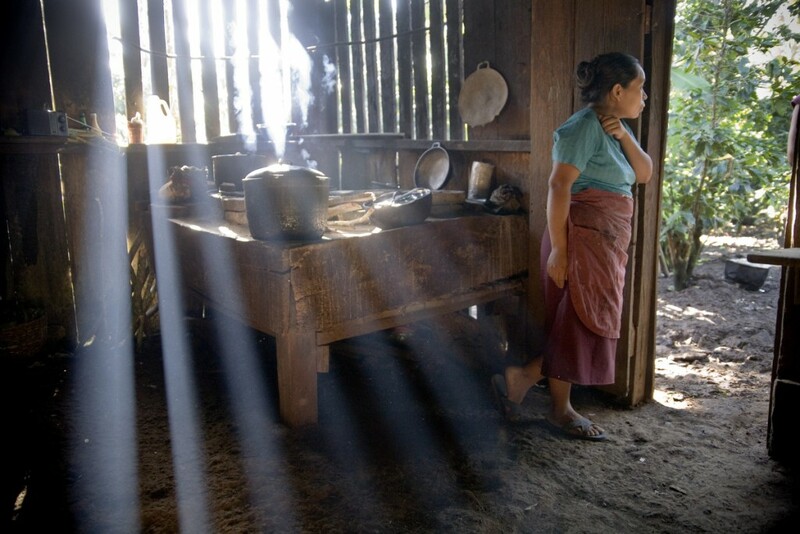 Francisca Arauz Vanega, wife of producer of Finca El Roble looks out of her kitchen as food is being prepared on the wood burning stove. 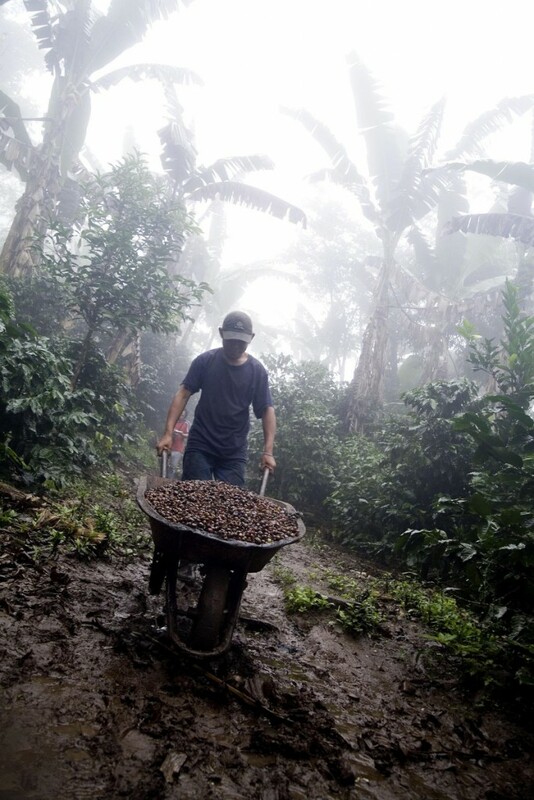 A worker cups a handful of ripe coffee cherries on Finca La Estrella, near Jinotega. 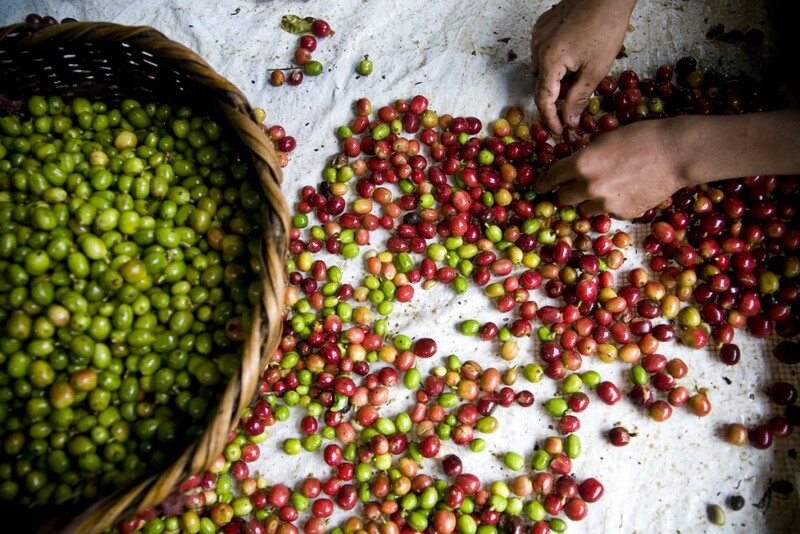 Coffee cherries are ready to be picked when they have reached their red color. Women do laundry in the river running through La Corona community. Workers at the Esperanza Coffee Group’s drying mill cover beans for the night after they were left out to dry all day. The beans have specialty certification, so they are sold directly to buyers abroad, without having to go through a middleman. A woman trained to distribute medication at a pharmacy that serves the La Perla community outside Jinotega city waits for customers. 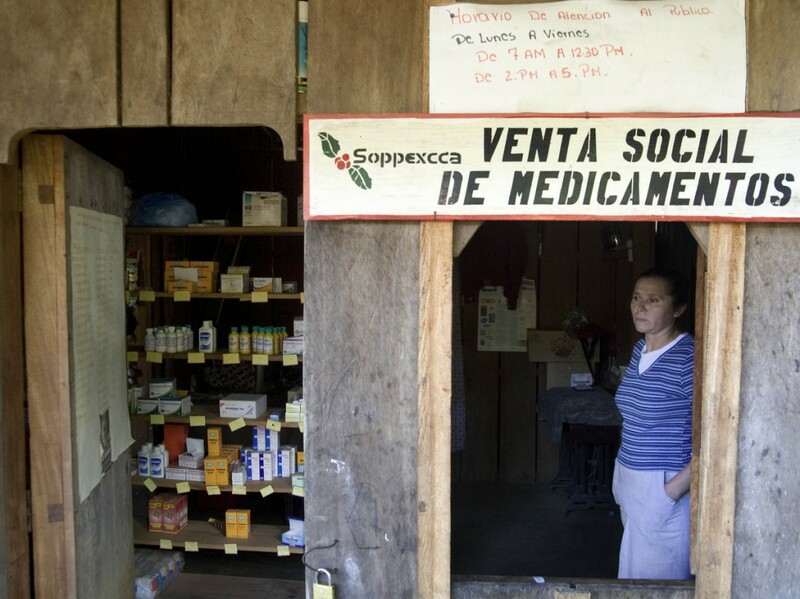 The pharmacy is able to offer reduced priced medication due to financial help from SOPPEXCCA, a fair trade cooperative to which some members of La Perla community belong. A student from Solidaridad school in Los Alpes community gives back a colored crayon she borrowed from a class mate. Many children have to share some supplies due to lack of funding or lack of money on the family’s part. The school receives funding from fair trade coffee cooperative SOPPEXCCA, the whole community benefits allthough not all students are kids of affiliated coffee producers. 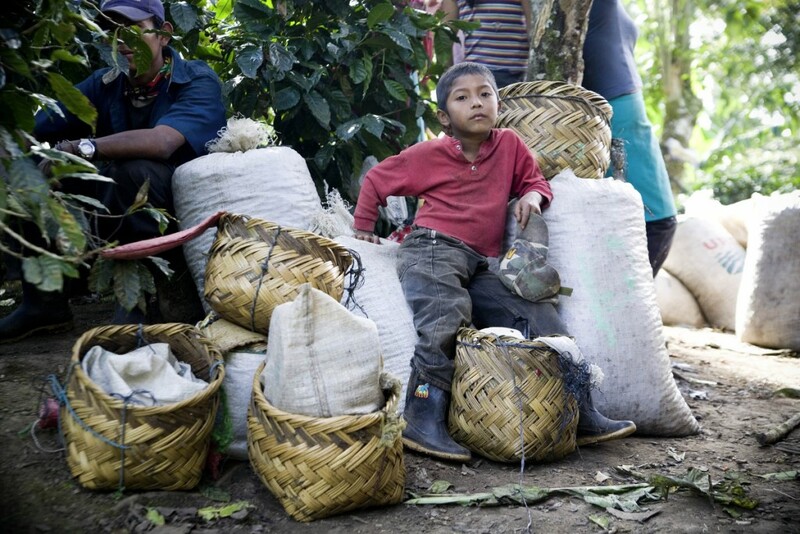 A child worker on Santa Rita, a large conventional farm, waits for his beans to counted at the end of a work day in the community of Datali/El Salto near Jinotega. 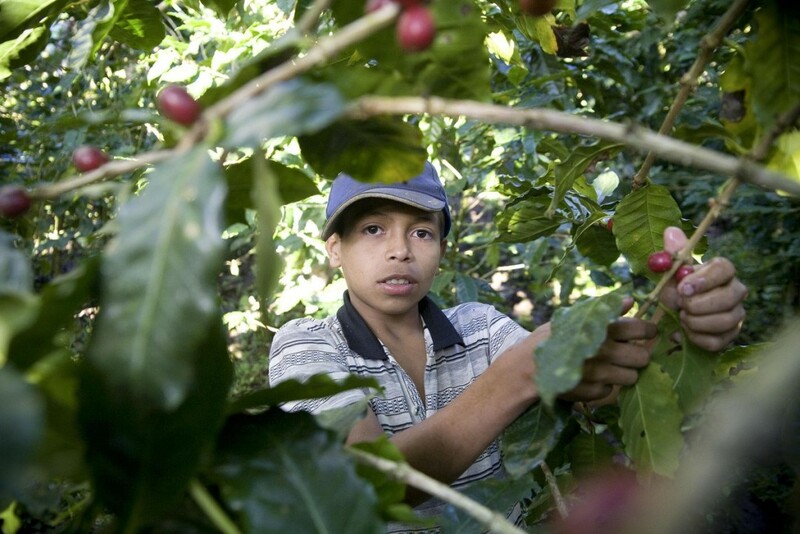 Children under the age of 18 are not allowed to work on coffee plantations according to nicaraguan law. David Pao Arauz, son of coffee producer on Finca El Roble, brings coffee beans via mule down to the cooperative house 1.2 km away, The beans will then be weighed. 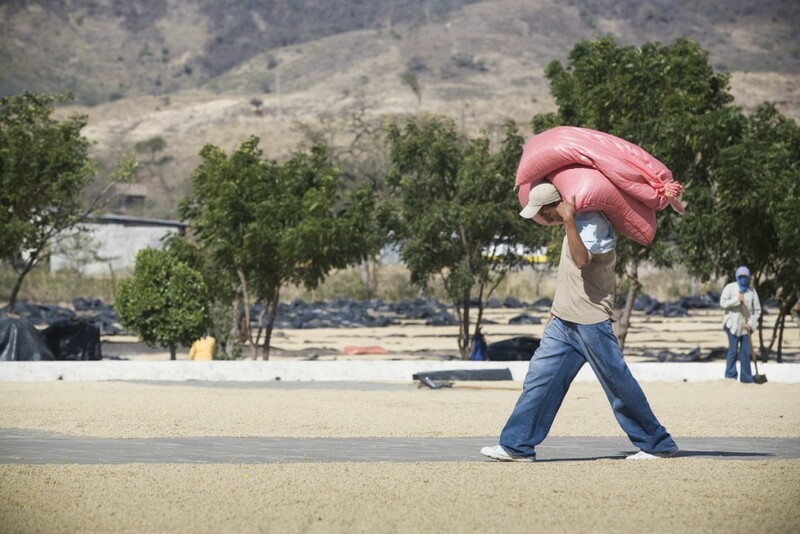 A worker at Solcafe drying mill carries bags weighing anywhere between 120-150 lbs. 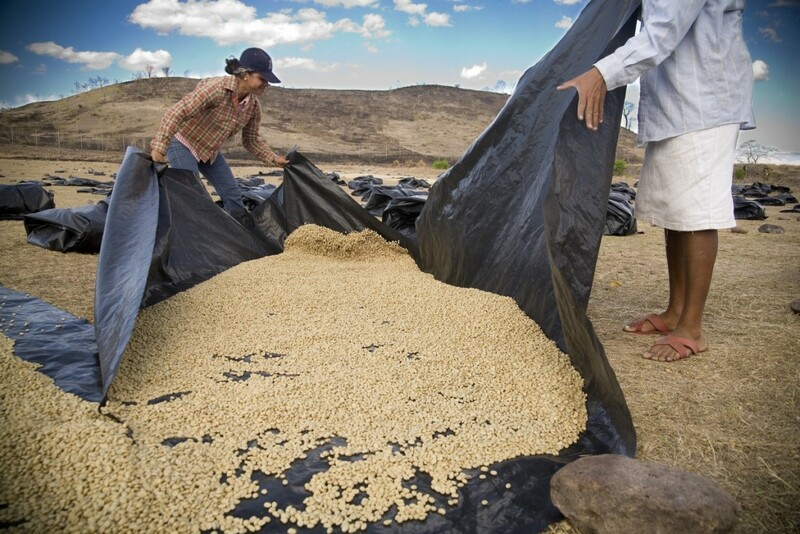 Coffee is brought by the coops to the mill in Matagalpa in order to be sun-dried and exported. 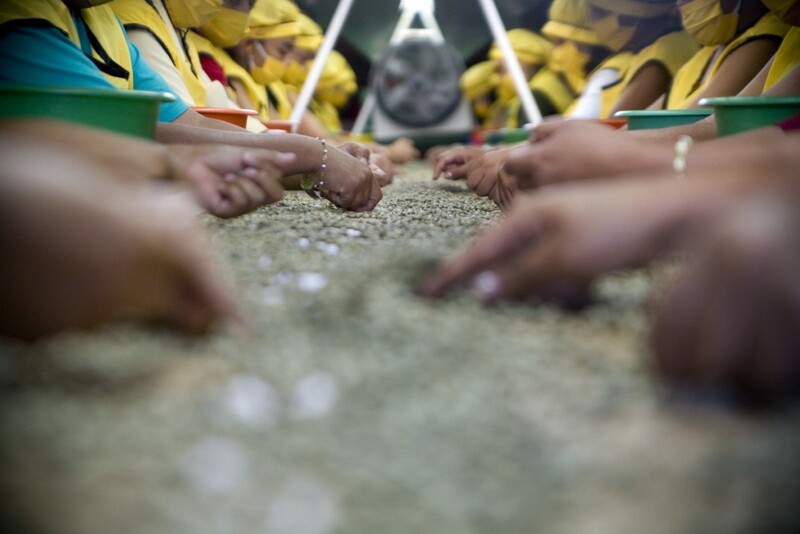 Women inspect and manually remove any dehusked coffee beans that may have impurities off of a conveyor belt at Solcafe drying mill in Matagalpa. Between 2-7% of dried beans have some form of impurities. 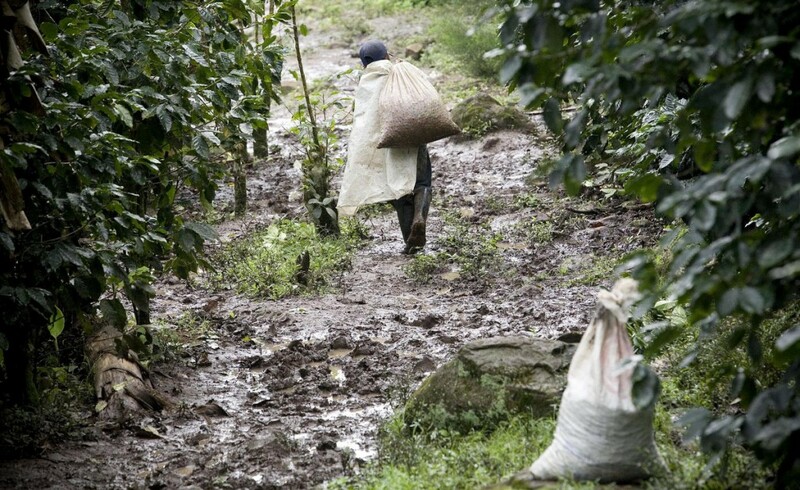 A worker on Finca El Roble carries bags of picked coffe from the field to a sorting area on the farm.